The following list has some of our favorite genealogy sites on the World Wide Web. On-line research continues to become more productive, thanks to thousands of volunteers contributing their time and sharing genealogical information on the Web. We hope our information is helpful to someone researching their ancestors. Connecting with distant relatives would be another great experience resulting from this Web site. 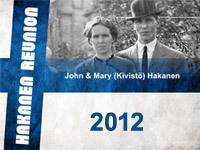 Finnish Genealogy This site, administered by the Genealogical Society of Finland, is a must for third and fourth generation Finns. Many of its pages have an English option and there are continuous additions and updates being made by Finns on both sides of the ocean. Finland’s Institute of Migration can be accessed through this site for individual passport and ocean vessel passenger information. Us GenWeb Project This project consists of groups of volunteers working together to provide Internet websites for genealogical research in every county and every state of the United States. The Project is non-commercial and fully committed to free access for everyone. Organization is by county, and provides links to all the state websites. The project also sponsors important Special Projects at the national level and its home page provides an entry point to all of those pages, as well. PA GenWeb Project A part of the USGenWeb Project, the PAGenWeb Project has been online since early 1996. The goal of the Project is to have every county in Pennsylvania represented by an online website and hosted by researchers who either live in their county or who are familiar with their county’s resources. Since that time, the project has remained faithful to the goals and continues today to provide free resource and reference information to researchers of the state of Pennsylvania. Ellis Island Site This is the site for the American Family Immigration History Center (AFIHC), located in the Ellis Island Immigration Museum. The AFIHC allows visitors to explore the extraordinary collection of immigrant arrival records stored in the Ellis Island Archives. Latter-day Saints Site This is the official site of the Church of Jesus Christ of Latter Day Saints Genealogical Library System which consists of Family History Centers located where ever one of their churches are located. For a reasonable fee, research information will be sent to the nearest Family History Center for use by the requesting Genealogist. They have a wealth of information available. Cyndislist This site is an excellent genealogical research entrance into the Internet. It is a ctagorized and cross-referenced index to practically all genealogical related resources on the Internet. As the site developers explain it: (Cindi’s list is). . .”A card catalog to the genealogical collection in the immense library that is the Internet”. Rootsweb This is the oldest and largest free genealogy site available. It is financially supported by Ancestory.com and is a clearinghouse for all kinds of genealogical information. Rootsweb also publishes three (free) newsletters that provide a wealth of information and guidance for beginning and experienced researchers alike. New World Finn (A Quarterly Journal Exploring Finnish Culture) Published since 1999, New World Finn is a 28-page non-academic newsprint tabloid about Finns and Finnish emigrants. Raivaaja (The Pioneer), a weekly, was founded in 1905. Articles are in both Finnish and English. Finnish-American Reporter a monthly, is published by Finlandia University. Established in 1986, it features English-language articles and news reports of interest to Finns across North America, in Finland and around the world. Amerikan Uutiset (American News) began publication in New York Mills, Minnesota as the Minnesotan Uutiset (Minnesota News) in 1935. The newspaper absorbed New Yorkin Uutiset when the latter went out of business in 1996. It moved to Lantana, Florida in 1980. Articles are mostly in Finnish.